Created by the Hawker company based on the experience gained from the development of the Hurricane. A total of 6 prototypes were built and tested in 1939–1941. 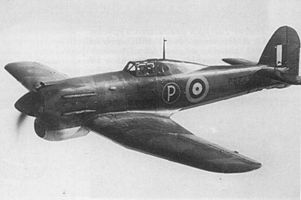 However, due to engine problems, the project was abandoned in favor of the Hawker Typhoon. 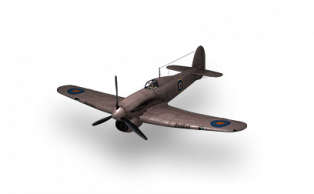 The Hawker Tornado was a British single-seat fighter aircraft design of World War II for the Royal Air Force as a replacement for the Hawker Hurricane. The planned production of Tornados was cancelled after the engine it was designed to use, the Rolls-Royce Vulture, proved unreliable in service. A parallel airframe with the Napier Sabre continued into production as the Hawker Typhoon. This page was last modified on 7 July 2018, at 17:06.